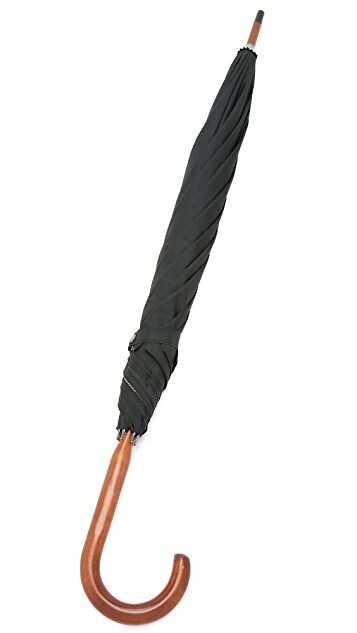 A classic London Undercover umbrella with a polished wood stick design. 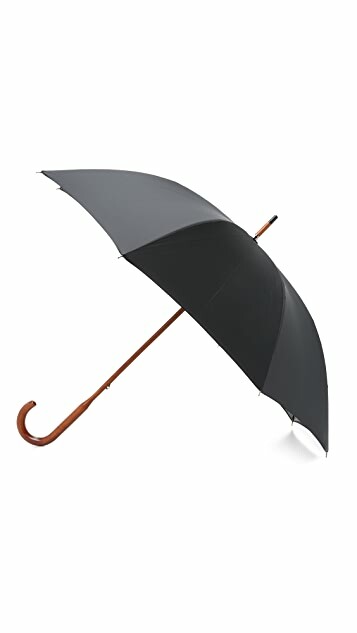 Branded crooked handle. 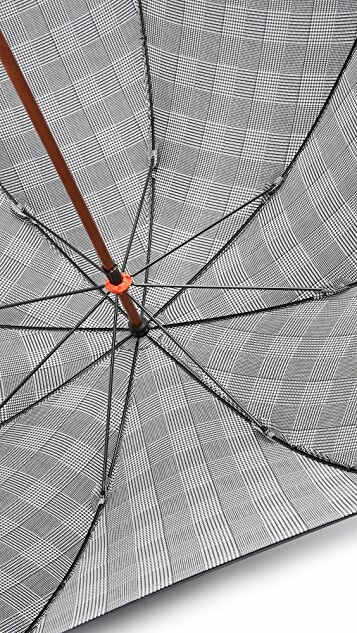 Push-button release opens the woven canopy.